Memorial Markers: How Are They Different from Memorial Stones? Whether you’re trying to create a garden memorial or dedicating a place in memory of someone, memorial markers serve to commemorate the lost loved one in a visible, personalized way. But, what exactly are these markers, and how do they differ from memorial stones? Is it possible to give these markers as practical sympathy gifts? Continue reading this blog to know more about memorial markers and how you can offer them as a remembrance token to a bereaved family member or friend. What is a Memorial Marker? A memorial marker is an upright marker that serves to identify the name of a deceased loved one. Aside from presenting the name, a memorial marker may also contain pertinent dates and a personalized description. 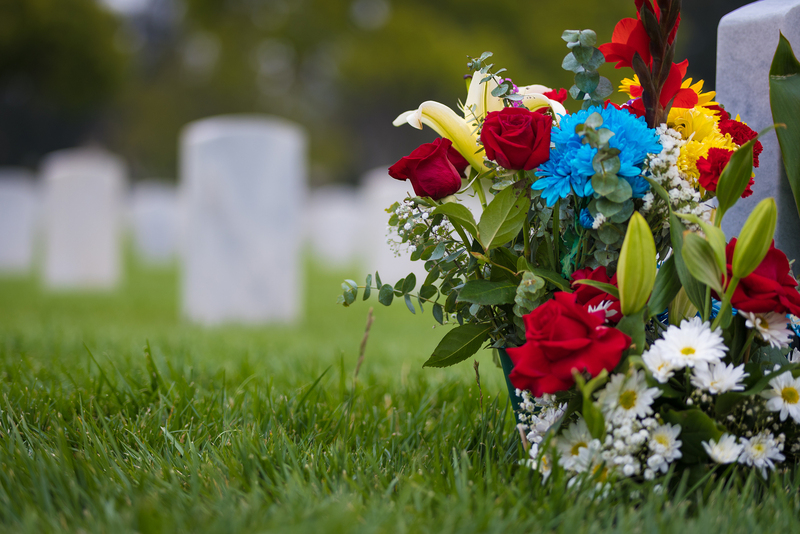 A garden, building, or any structure dedicated to a deceased individual may possess a memorial marker on its grounds or façade. Pets may also be commemorated through memorial markers in parks or private gardens. These markers may come in various types, primarily based on its material and overall structure or design. Typically, these markers are installed outdoors, although there are those that may be put up indoors such as on walls. Cast aluminum is a common material used in making memorial markers, especially since this material can withstand outdoor elements. Other material options include slate or even granite. How do memorial markers differ from memorial stones? Although both are meant to serve as markers in commemoration of a lost loved one or pet, they can easily differ in material and design. Memorial stones are usually made to look like real, uncut stones or polished stones. They are also laid flat on the ground, such as in a final resting place or in a garden memorial. Some memorial stones serve as traditional grave markers, such as head stones, while there are also those which are installed as a commemorative item on altars or in a memory niche. Memorial markers typically stand upright or placed on walls, making them visible even from a distance. They can mark a special place or an area as dedicated to a certain person or pet that has already passed away. If you have planted a tree in honor of someone or a beloved pet, you may install a memorial marker near the tree to identify in whose honor the tree is planted. Other than near trees, memorial markers may be installed within the vicinity of memorial benches, memorial fountains, gardens, schools, orphanages, hospitals, and many others. If you believe that your bereaved family or friend is planning to create a memorial in the name of their deceased loved one, you can gift them with a memorial marker as a sign of your sympathy and care. It may be best to know about their preferences in advance, however. Cast aluminum memorial markers are usually made to last for a long time and can be pricey. As much as possible, get all the details right before placing your order. Some pet parents, moreover, choose to create a memorial garden in remembrance of their lost pets. If you think they can appreciate having to ditch the traditional memorial stone, you may suggest an upright memorial marker instead. In addition to names and dates, the marker may also bear personalized messages, nicknames, and even certain engravings. Some online vendors allow for free shipping, so sending your sympathy gift is both cost-effective and hassle-free. If you’re looking for memorial markers for your own deceased loved one or as a gift to a bereaved family, the Comfort Company offers a range of wall and upright markers. Click here to learn more.